Highbury Fields School has yet again demonstrated the strength of its academic Sixth Form. 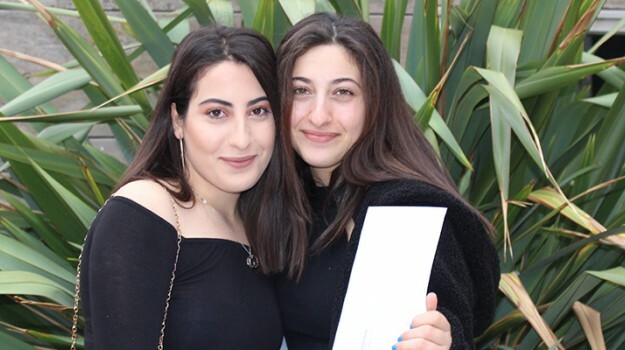 This year 84% of grades achieved were above grade C. Most students, applying to university have secured places their first choice institution including University College London, King's College, Brunel, SOAS and Southampton. Students will study subjects such as English Literature, Chemistry, History and International Relations. Students develop and progress over time and gain skills and knowledge, but most importantly, they gain confidence and significant levels of resilience. Each individual’s personal development and wellbeing are continuously monitored and supported by subject teachers and tutors. Students are knowledgeable about the range of professions and careers available and understand the value of acquiring highly desirable soft skills of curiosity, adaptability, teamwork and the ability to work incredibly hard. Students undertake their sixth form studies at the Aberdeen Park Sixth Form Centre which provides a specialised environment for the 16 to 19 age group.